I belong to a site called Swap-Bot that a lot of other crafty people use. It is a great site to get creative and send and receive mail. Of course not all swaps are physical mail, some are electronic, and even revolve around Blogs or Twitter. I have signed up for a couple of Blog following ones recently and thought I would share the partners I had with my blog readers so they could have a chance to visit these blogs as well! If I missed yours please forgive me. They were all great. I was not uninterested in any of them. The Musings of a Manic – Full of great music! True Stories, Honest Lies – Fiction and other writings. Vintage and Handmade Finds – Great photos and ideas! Unique Euphoria – Etsy Blog! Roadside Wonders – Wonderful images of fun roadside sites! Dirty Girl Art Studio – With a title like this what’s not to love?! The Craft Pad – Crafty fun! 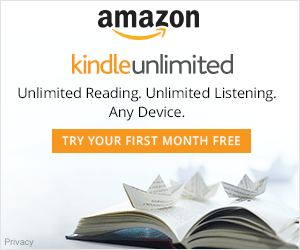 Uncurable Bookworm – Great for readers! Folie of Life – Great Life blog! Ms Lovender – Life as a teacher in Japan! Hi! thanks for the list ^^ lovely blog! In the process of writing a similar post! Thanks for visiting. Hi there!! I'm visiting your cool blog from Swap-bot, I'm solsuny.